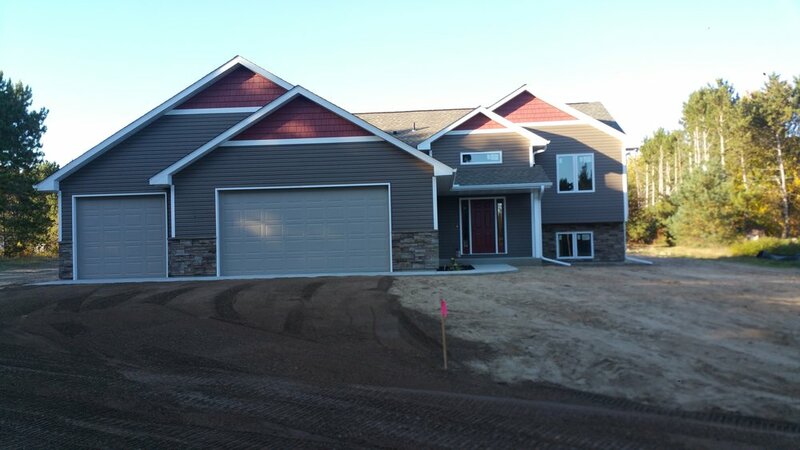 We did an entire exterior installation for a new home in Ham Lake. The installation included Carvedwood 44 Mastic siding in Montana Suede, Cedar Discovery Mastic shake in Russet Red, and White soffit. 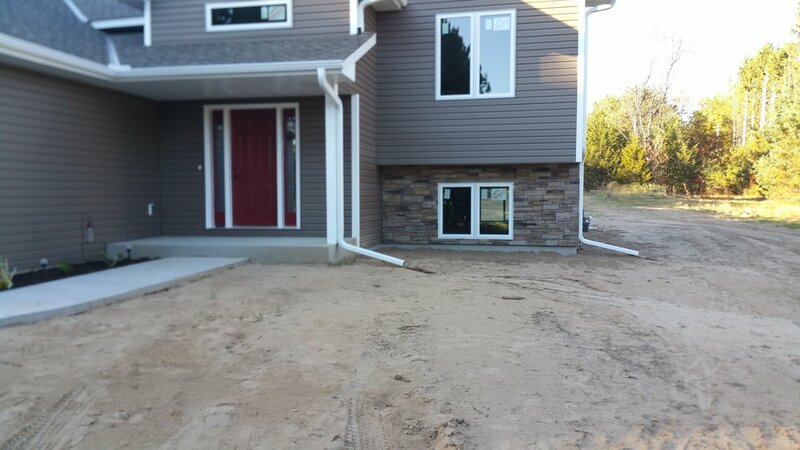 We used Ledgestone Versetta Stone for the Fascia stone work. 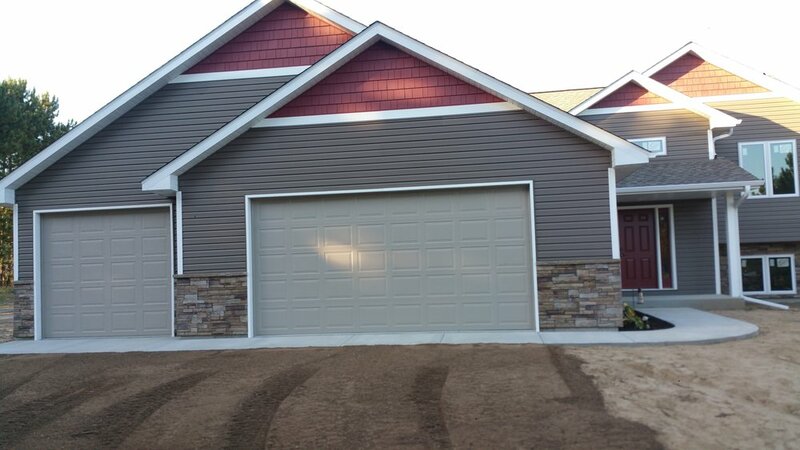 The home owner is happy with their new home with its new vinyl siding and stonework. 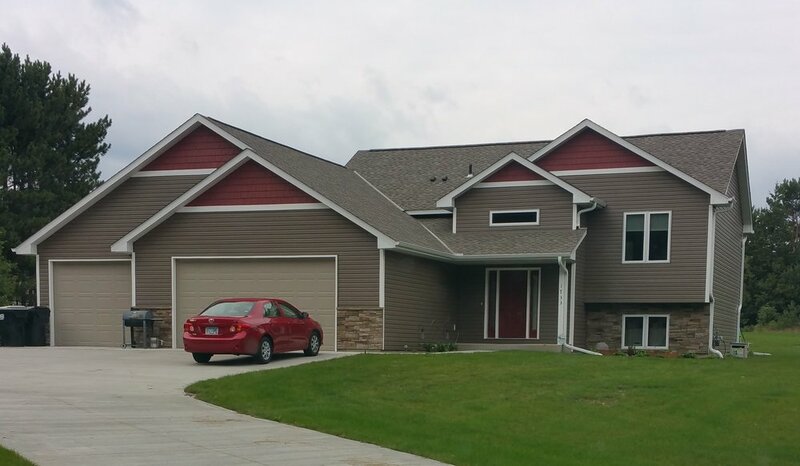 It is a beautiful home with a beautiful new exterior.